My beautiful KayCee starts year 9 today. I know everyone says it but time has gone so fast. It only seems like yesterday she was starting year 7. I was so nervous for her but I needn’t have been, she was great and took it all in her stride. My babies are growing too fast. Aiden’s already an adult and KayCee’s not far off. If time keeps going this fast she’s going to be at University before we know it! She’s been helping Ella get organised this morning. Ella’s lost her tie already, it’s her second day! KayCee tried helping her to find it but they couldn’t so she has to go to pupil support and buy another one. Ella’s friend was running late so KayCee and her friends went to call for her while Ella went to call for another friend and Ella forgot her lunch so KayCee came back here to pick it up for her! We have to do something to get Ella more organised in a morning because KayCee’s not going to be able to organise her every morning! 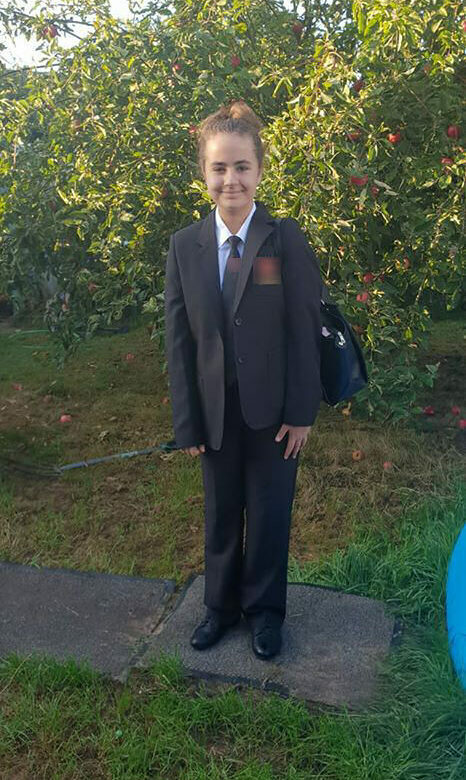 No More Junior School For Ella – Secondary School Here She Comes! hehehe. Oops! I bought 2 ties so we have a spare because I know my girl will lose it eventually.